Visiting a great tiki bar is almost like taking a mini vacation to the South Pacific. I’ll take a fruity drink and some over-the-top Polynesian decor over a slick martini lounge any day. California has always been the epicenter for mainland tiki culture. The very first tiki bar opened in Los Angeles back in 1934, and was quickly followed by an explosion of tiki bars across the country. But tiki culture didn’t really reach its heyday until the 1950’s, when nearly every American city had its own Polynesian-inspired spot, serving exotic treats like rumaki alongside classic drinks like mai tais and zombies. At many restaurants, you could even buy your cocktail in ceramic tiki mug and take the mug back home with you as a souvenir. Sadly, the Polynesian craze eventually faded and most tiki bars shuttered their bamboo doors. Though rumors of a tiki revival surface from time to time, the latest hipster East Coast spots leave me cold. 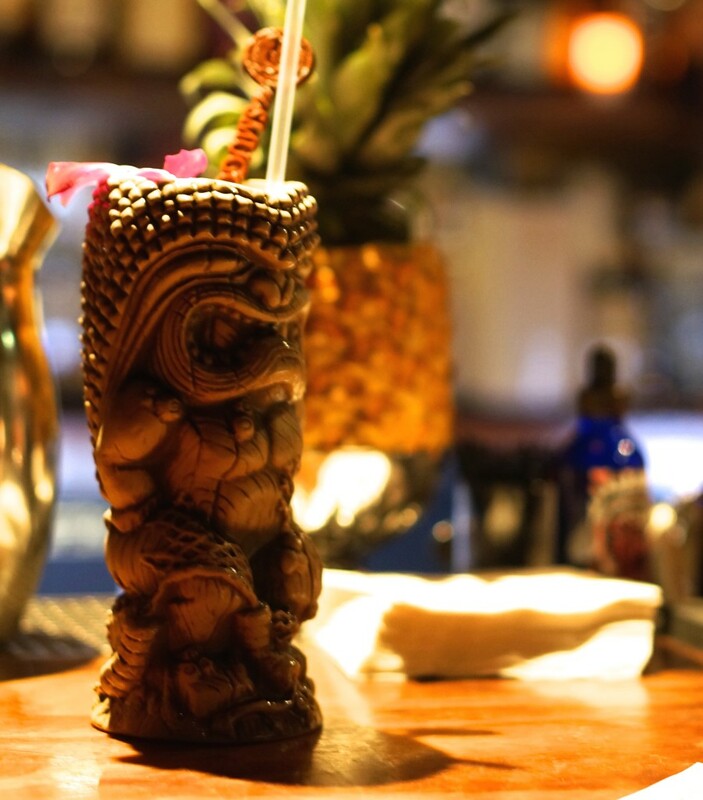 To experience real tiki culture, you need to head West. Can’t decide? The expert bartenders at Smuggler’s Cove will help guide you to the perfect drink. On my recent trip to San Francisco, I found not one but several promising tiki bar options to choose from. I settled on a Smuggler’s Cove, an award-winning bar known as much for its excellent cocktails as its tiki-inspired decor. I loved the coziness of Smuggler’s Cove. Designed with a nautical theme in mind, the wooden-plank paneling made me feel like I was deep in the belly of a pirate’s ship. Though more restrained than your typical tiki bar, Smuggler’s Cove still has all the classic tiki elements– look out for the gurgling fountain beneath the stairs. The extensive drinks menu at Smuggler’s Cove includes not only tiki favorites but also classics from the Caribbean and prohibition-era Havana. Drinks are made with care and garnished with fresh flower, fruit or sprigs of mint. Best of all, Smuggler’s Cove honors that 1950’s tradition of bringing home a tiki souvenir. Pay a little extra here for the souvenir edition and enjoy your cocktail in this tall tiki mug, yours to keep. What to buy: Order a cocktail served in a signature tiki mug and take your mug home with you. 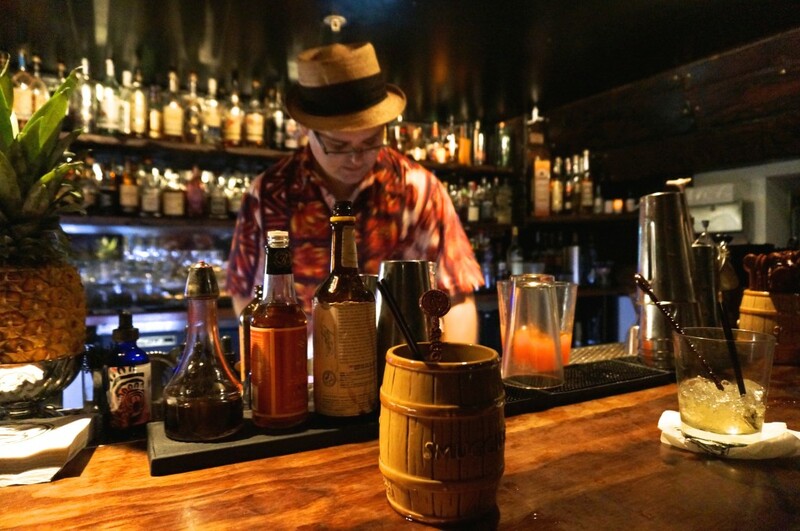 Where to get it: Smugglers Cove, 650 Gough Street, San Francisco, CA. Open every day, 5:00 pm-1:15 am. What to know: We walked right in on a Tuesday night visit. But because Smuggler’s Cove is small with a limited capacity, you might find have to wait to get in on busier nights. 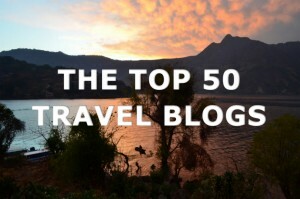 Do you love tiki culture? 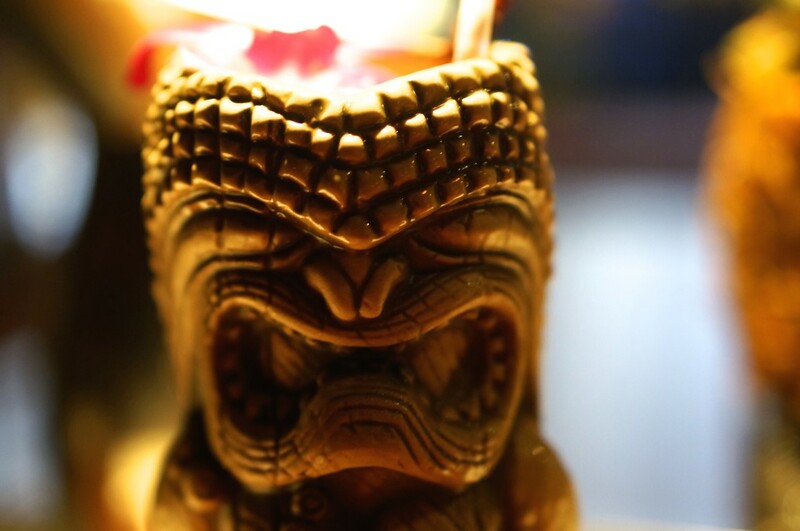 Do you have your own collection of tiki mugs? Share in the comments! 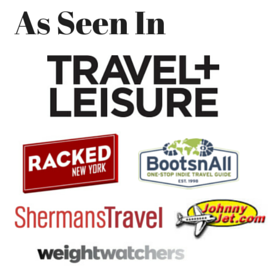 i’ve always wanted to go that bar – i’ll def check it out on my next trip to San Francisco. Love the photography. Great photography Kristin. Now that’s my kind of souvenir! Once again you’ve captured the essence of one of my favorite places in the city. So fun to have you here. Also, your photography is fantastic!! !